One thing that is great about a PV System is that it requires almost no work to get the PV energy. Once it is installed, as long as you do not have to shut it down and move it to another side of the house, you should be OK for a longtime. Most of the inverters have a lengthy warranty. The panels themselves should outlive the longest investment payback. Most of them are guaranteed for twenty years. However, solar clouding, also known as panel soiling, has been proven to reduce the generating output from photovoltaic (PV) installations. All PV manufactures recommend regular cleaning. Solar clouding directly reduces the generating efficiency of PV modules. The economic benefit of increased production greatly outweighs the cost of periodic maintenance of the PV panel surface. According to the Solar Electric Power Association (SEPA), PV electricity output will decline approximately 10% due to accumulation of dirt, dust, and other residues. Research cited by SEPA indicates that PV electricity generation will decline 15-20% in areas where bird droppings, urban pollution or dust from farming operations are common. Annual or bi-annual cleaning of panel surfaces eliminates these efficiency losses.At least once a year, your panels could benefit from a good cleaning, especially if you are in an area that has a lot of dust or windblown pollen. This stuff can get stuck to the panels fairly easily, and although a lot of it is washed away by rain that happens in a time of year you are not really thinking much about production. Therefore, at least once a year, you need to think about cleaning the panels. If you wish to go down the path of DIY panel cleaning, materials you will need to clean your solar panels are water, cleaning solution, soft sponge, cloth, or towel, squidgy or similar window cleaning tool (optional). 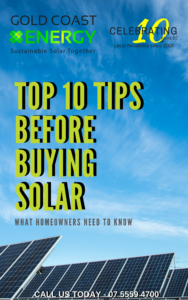 Follow these steps to easily clean and maintain your solar panels. The electrical components of your solar panels are protected underneath the surface. This makes them waterproof and safer to clean so wetting them is not a concern. Next use your sponge (squidgy, etc.) to remove all access cleaning solution and dirt using rinsing water when needed. Be careful to avoid streaking while completing this step. Streaking can leave solution residue behind which can hinder the sunlight much like dirt. It is possible to use an environmentally safe cleaning solution, however, you will want to test it on a transparent glass window first to minimize streaking. Dark glass surfaces tend to hide streaking, so a clear surface is best. A solar panel that is installed in a flat position will naturally collect more dirt and debris minimizing your energy output.Even with panels installed at an angle some debris may accumulate at the corners over time but this does not prove to cause a major disruption in energy output. 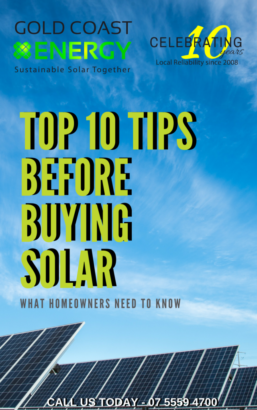 Using this guide to properly clean and maintain your solar panels will help to ensure that you have the best functioning system possible. For professional PV system maintenance including panel cleaning, panel output testing to IEC standards that can be used in warranty claims and a full electrical saftey test. Contact us on 07 5559 4700 or contact us here.